The iPad is the perfect device for signing documents. 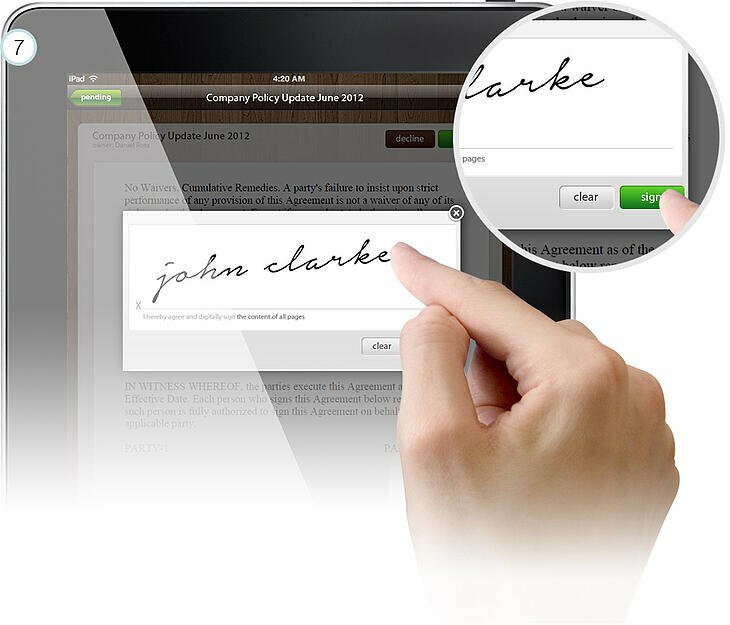 It provides a large screen for easily viewing documents and drawing the signature on the touch screen with your finger/stylus is as natural as signing with pen on paper! There are many iPad apps which do this.